"Your Blue Water Connection For Great Homes"
My goal is to provide honest, professional and helpful guidance while servicing the real esate needs of all my clients each step of the process. I am excited about finding the right home for every buyer and representing the sellers' home in the most favorable way. I have gained many years of valuable experience, which assists me in making your real estate experience both favorable and fun. Why Should I Consider Linda for my Real Estate Needs? Linda Sells 22% Of Her Own Listings. The National Average of Realtors who sell their own listings is 6%. The average sales price of homes she sells is $278,000. The conversion ratio for her listings is 75%, meaning 3 out of every 4 homes she lists get sold. "We chose Linda Bailey to market our home after interviewing several excellent local Realtors. We liked Linda's knowledgeable and professional approach. She was warm and considerate and conducted the listing and sale in a conscientious and thorough manner. Our move was difficult but Linda helped make it as easy as possible. We would highly recommend Linda to anyone looking for a extremely competent agent." Sine & Monaghan Real Estate is a full service real estate company with 23 professional agents with an average of 10 years experience. This wealth of experience goes a long way towards explaining how this office sold over $50 million of real estate this year. In addition to this office, we also benefit from three other real estate locations in Pt. Huron, Grosse Pointe and Royal Oak, Michigan. The combined total sales from the location's 900 transactions was over $120 million last year. To be specific, Sine & Monaghan Real Estate sold more homes in the St. Clair County area in the MLS than 90% of the other offices and consistently ranks in the top 5 offices in this area. Commitment and a spirit of cooperation are evident throughout our office and are significant contributors to our success. Each person is dedicated not only to personal success, but also to the overall success of the company. We believe in the team effort and will always help one another to achieve our goal of being professional realtors and earning the respect and trust of all our clients and customers. 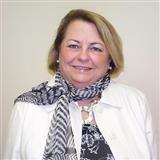 Linda Bailey is consistantly the top producer at the St. Clair office and was the Top Producer of all offices in 2010. For a list of additional services you get with Linda, click on the about Linda button below. Our goal is to provide customized personal service in an environment of professionalism, honesty and trust. The focus is on the needs of our customers supported by real estate professionals acting as a team to accomplish a smooth and successful real estate transaction.